Orlando Pirates coach Micho Sredojevic and new defender Caio Marcelo. New Orlando Pirates defender Caio Marcelo is using the international break to adapt to life with the Buccaneers. The 20-year-old, who joined Pirates from Brazilian side Nova Iguacu, admits that he has a lot of learning to do. “I am settling in very nicely at the club. 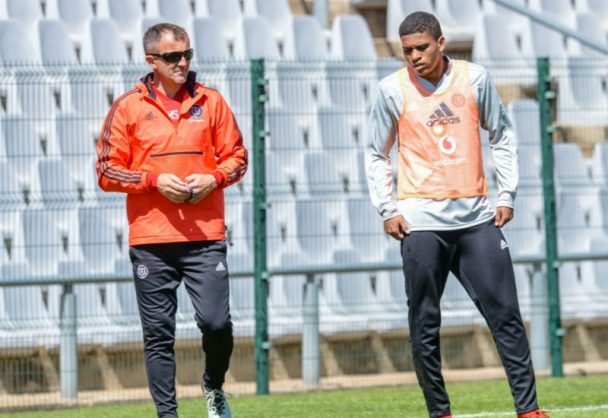 My teammates and the technical staff have been very accommodating and welcoming ever since I’ve arrived,” Marcelo told the Pirates official website. His move to Pirates marks the first time that he plays football outside of Brazil which he believes will come with its own challenges.